Ted Cruz was born in Calgary, Alberta, Canada and raised in Houston, Texas. After high school, he attended and graduated from Princeton University and Harvard Law School. From 1999 to 2003, he held various government positions; Cruz served as Director of the Office of Policy Planning at the Federal Trade Commission (FTC), as an Associate Deputy Attorney General at the U.S. Justice Department, and as a Domestic Policy Advisor to George W. Bush on the 2000 George W. Bush presidential campaign. Cruz served as Solicitor General of Texas from 2003 to 2008, having been appointed by Texas Attorney General, and later Governor, Greg Abbott. He was the youngest Solicitor General in the nation, as well as the longest-serving and first Hispanic Solicitor General in the state. Among his accomplishments, Cruz argued 40 oral arguments, including nine before the U.S. Supreme Court. From 2004 to 2009, Cruz was an Adjunct Professor at the University of Texas School of Law in Austin, Texas, where he taught U.S. Supreme Court litigation. In August 2012, he was included in a list of 20 Latino political rising stars compiled by the San Francisco Chronicle. Cruz won the election to the U.S. Senate on November 6, 2012. 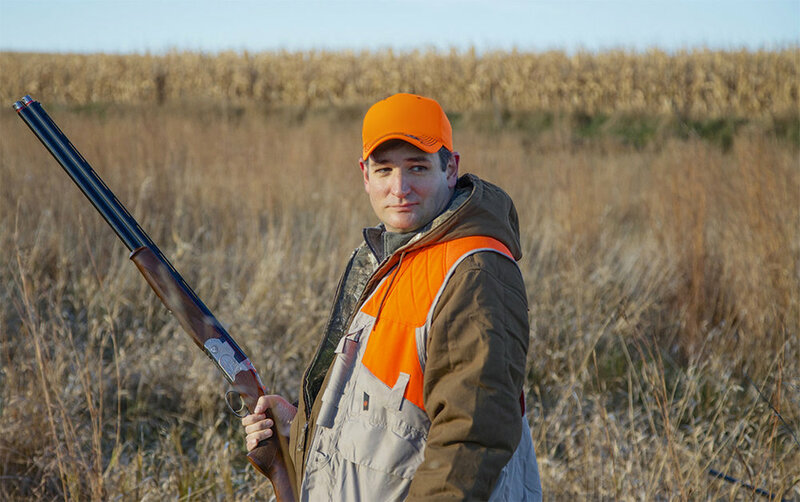 Cruz announced on March 23, 2015, that he would seek the presidency in 2016. He suspended his presidential campaign on May 3, 2016, after losing the Indiana Republican primary to Donald Trump. 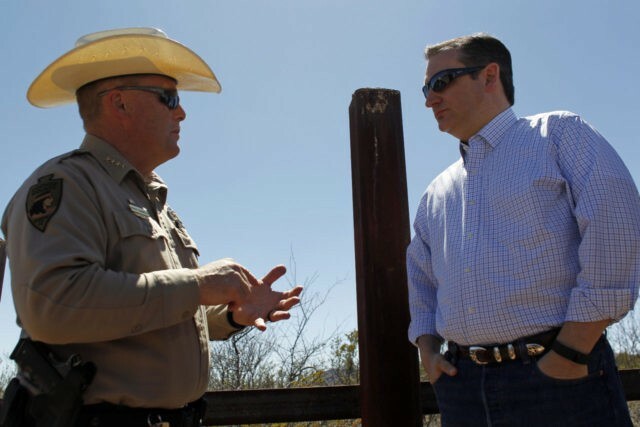 Ted Cruz currently serves on the following committees: Joint Economic Committee, Committee on Armed Services, Committee on Commerce, Science, and Transportation, Committee on the Judiciary, Committee on Rules and Administration. He has been endorsed by Texas Right to Life, Texas Farm Bureau Federation and Texas Alliance for Life, among other organizations. I Introduced the EL CHAPO Act to direct funds forfeited after the conviction of drug cartel members to construction of a wall on the southern border of the United States. I coalesced conservatives across the country to defeat the Gang of Eight bill that failed to secure the border and would have granted amnesty to millions who came to the United States illegally. During the Gang of Eight fight, I offered a series of amendments, including measures to prevent citizenship for those here illegally, to block illegals’ access to federal, state, or local public assistance benefits, secure the border, triple the size of the Border Patrol, and implement a biometric entry-exit system. I Introduced Kate’s Law to establish a 5-year minimum sentence for those who illegally reenter the country. I Introduced with Jeff Sessions the American Jobs First Act of 2015, to reform the H-1B visa program, curb abuse, and protect American workers. I Proposed a number of measures to defund President Obama’s amnesty and prevent him from expanding it. I co-sponsored legislation to recognize Jerusalem as the capital of Israel and move the US embassy from Tel Aviv to Jerusalem. I introduced a measure to provide necessary funding for Israel’s missile defense, Arrow System, David’s Sling and Iron Dome. I twice introduced legislation to prohibit negotiations between the United States and Iran until Iran released the American prisoners it is unjustly detaining and recognizes Israel’s right to exist as a Jewish state. I introduced a resolution passed by Congress to condemn Hamas’ use of civilians as human shields. I introduced legislation passed by the Senate to offer rewards to those who handed in information about the kidnappers and murderers of the 3 boys who were murdered in Jerusalem, one of them being an Israeli-US citizen. I brought national attention to the FAA ban on flights into Ben Gurion airport and asked if the ban was being imposed as a form of economic sanction on Israel. Due in large part to the public pressure I brought, the ban was lifted. I support Israel’s Iron Dome program, which in defending Israel also protects US security interests. I Introduced the EL CHAPO Act to direct funds forfeited after the conviction of drug cartel members to construction of a wall on the southern border of the United States. I coalesced conservatives across the country to defeat the Gang of Eight bill that failed to secure the border and would have granted amnesty to millions who came to the United States illegally. During the Gang of Eight fight, I offered a series of amendments, including measures to prevent citizenship for those here illegally, to block illegals’ access to federal, state, or local public assistance benefits, secure the border, triple the size of the Border Patrol, and implement a biometric entry-exit system. I Introduced Kate’s Law to establish a 5-year minimum sentence for those who illegally reenter the country. I Introduced with Jeff Sessions the American Jobs First Act of 2015, to reform the H-1B visa program, curb abuse, and protect American workers. I Proposed a number of measures to defund President Obama’s amnesty and prevent him from expanding it. The first bill I offered as a US Senator was to repeal every word of Obamacare. I fought for Texas jobs by authoring the NASA Transition Authorization Act, which President Trump signed into law on March 21, 2017. I authored legislation empowering greater private sector engagement in commercial space exploration that was signed into law by President Obama. I sponsored Audit the Fed legislation. I authored resolution, signed by President Trump, eliminating Obama-era rules that restricted Texas’ discretion over its unemployment insurance programs. I proposed a tax plan to dramatically reduce taxes for American families and individuals, simplify the tax code and spur significant economic growth. I mobilized a national effort to defund Obamacare and repeal the disastrous law in its entirety. I introduced the American Energy Renaissance Act to open up energy exploration, expand Liquified Natural Gas (LNG) exports, end the crude oil export ban, that with other reforms unleashed job creation across the state of Texas. I sponsored the Affordable Reliable Energy Now Act (ARENA), to check President Obama’s overreaching “Clean Power Plan” regulations that infringe on states’ rights, drive up costs for consumers and hamper innovation. I fought against budget increases that failed to bring about meaningful spending reforms. I opposed the Internet Sales Tax, and spoke against establishment politicians who attempt to impose more unnecessary taxes on Americans.